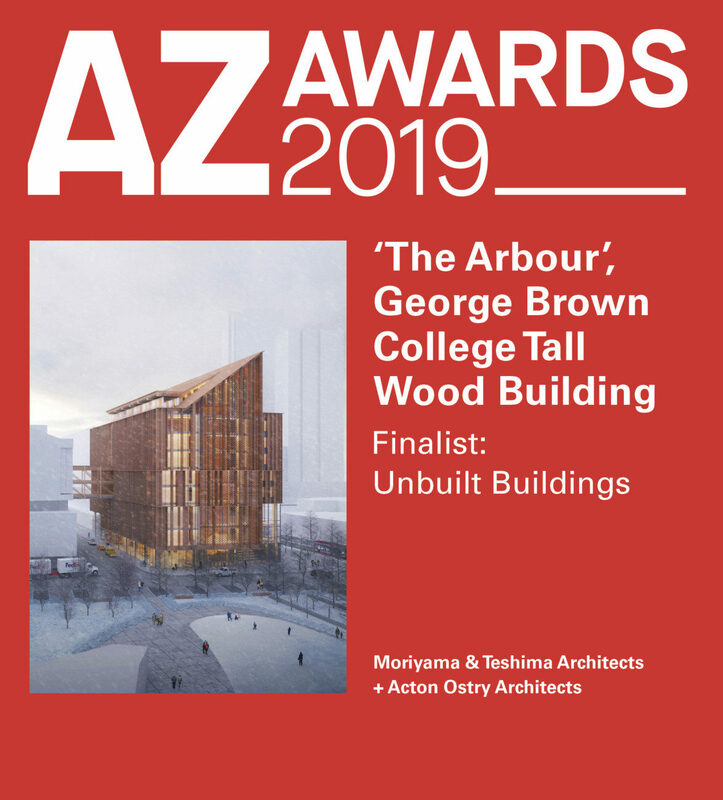 Moriyama & Teshima Architects and Acton Ostry Architects are thrilled to announce that ‘The Arbour’, George Brown College Tall Wood Building has been shortlisted for the 2019 Azure Awards. Fresh off the heels of its internationally recognized awards for sustainability and design (Rethinking The Future and AR Future Projects awards), Azure selected the project as a finalist from over 1000 entries. To learn more about the 2019 Azure Awards, click here. To learn more about The Arbour, George Brown Tall Wood Building, visit the project page.